Look at the image above. 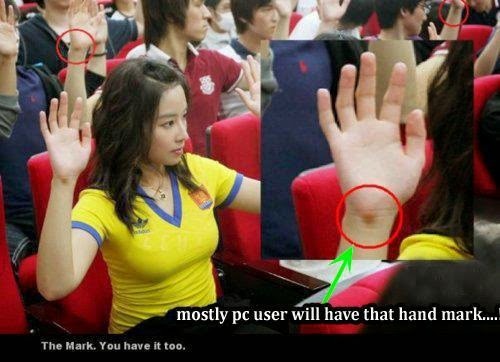 Most of the regular users of desktop have this hand mark. Specially at the right hand and it is caused by your mouse. Even I have a mark too. Do you have this? Couple of years ago people were not too much interested to use computer. In that time the use of computer was actually confined to the software developers, web developers, gamers etc. But when the social sites specially Facebook gained popularity across the world the trend gets changed. Now the general people spend much more time on PC than developers!! Today I'm gonna talk about some ways (Tips n Tricks) to use your PC properly. The discussion will be divided into two parts. The first part is about your health. And the second part is about your PC health. Okay let's start. Remember: If you're a blogger or something like web developer or programmer then this tips is not for you. This applies to normal people. Never use your PC for more than 3/4 hours a day. Make sure you've sufficient lighting and air facility in the place where you use PC. Keep the place free of dust. Never look at the screen continuously for a long time. Take break at least after every 5 minutes to avoid eye strain. Look at the wall or window of the room. Sitting in front of PC for a long time is not a good idea. You can go for a little walk after every 30/40 minutes. Then you can back. Never use PC in a dark room. Keep the light on while using PC. If you use PC in a dark room it will create a huge pressure on your eyes. The result will be the loss of vision! Keep the brightness of your monitor to a minimum level. High brightness may create eye strain. Try to limit the use of social sites. Because surveys show these are not good for mental health. Turn your PC on and turn it off properly. Never use too many programs at a time that your PC can't afford. Use a reliable antivirus or security software that can protect your operating system from virus. Close the unnecessary programs after using. Never install too much programs on your PC. If you have unnecessary programs installed on your PC, just remove them. Open your casing at least two times a year. Clean it up properly and carefully. Check the internal and external connections. Unplug and plug them again if necessary. Keep the place free. A small place is not good for a PC. Make sure the place is cool enough. Heat is always bad for a PC. Never keep your PC turned on for a long time if the room is not air conditioned. Otherwise it will be over heated and thus it will affect the lifetime. The cable used in the PC should be high quality. The main switch should also be perfect. Otherwise it may create short circuit. I will try to update this post later. Keep in touch . . .
Dear readers! Hope you're fine. And also hope you are getting something from this site. At least we are trying hard to provide useful tips for you. But this post is not related to any tips or tricks. You have the right to know about Marks PC Solution. 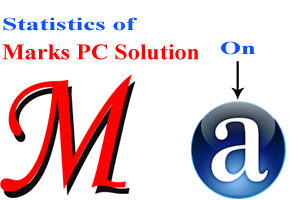 In this post I will show you the statistics and ranking of Marks PC Solution on Alexa. Hope you all know about Alexa - The Web Information Company. Alexa collects the information about the websites. Normally a new site is not listed on Alexa. But when people use this site with Alexa toolbar or when this site has enough visitors, in that time Alexa enlists that site in its directory. Marks PC Solution was started at the end of 2011. In that time the ranking was more than 25,000,000. But now its 3 month ranking is only 192,000! And one month ranking is 162,000! You know without your contribution it is not possible to improve the rank so fast. Look at the Alexa Widget below. It shows the live rank of Marks PC Solution (Changes every day). Munnamark.blogspot.com has a three-month global Alexa traffic rank of 192,937. About 45% of visits to the site are bounces (one pageview only). 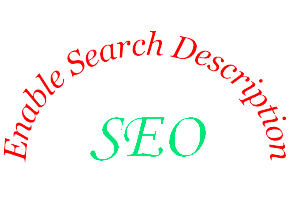 Search engines refer approximately 2% of visits to the site. Munnamark.blogspot.com is based in Bangladesh. Visitors to the site spend approximately fourteen minutes per visit to the site and 79 seconds per pageview. If you continue with Marks PC Solution certainly it will be easier for us to get a better ranking. In my previous post I talked about virtual memory. Today I'm gonna discuss about how to change the size of virtual memory. Before starting the main discussion I would like to say something about virtual memory again. But I recommend you to read my previous post about virtual memory. A part of your hard disk space is used to support or accelerate the operations of your PC. This part is know as Paging File or Virtual Memory. 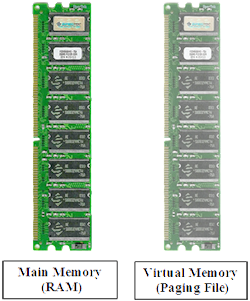 When the amount RAM is low, it is virtual memory that supports RAM to carry out its activities. The term Virtual Memory and Paging File are used interchangeably. By default Windows sets a virtual memory on your PC. Sometimes it may not be accurate. Or it may not be in the way that you would like to set. In that case you can change the size of virtual memory. You may like to change the drive for virtual memory etc. Before starting the operation, check the amount of RAM installed on your PC. Right click on My Computer > Properties > Check the RAM. Or type dxdiag in the Run option. Read more. Press Start + Pause/Break to open System. Or right click on My Computer and hit on Properties. Now, Windows XP user should find the System Tab. And Windows Vista/ 7/ 8 user should go to the Advanced System Settings. Here a new window appears named System Properties. Go to the Advanced Tab of this window. Hit on the Settings located under the Performance section. Go to the Advanced Tab and click on the Change button. Select the Custom Size. And look at the below of this Window. Minimum Allowed, Recommended and Currently Allocated. I suggest you to use the numeric value shows in the Recommended. Look at the image below. Recommended is 2039 MB. I used 2039 MB both in Initial and Maximum size. You should also set an amount that shows in the recommended. Type the recommended value both in Initial and Maximum size. Then hit on the Set button. Then hit OK > OK > OK. Restart your PC if required. Start + Break > Advance/ Advanced System Settings > Advanced > Settings under Performance > Advanced > Change > Custom Size > Type your required amount of virtual memory both in Initial and Maximum Size > Set > OK > OK > OK > Restart. After setting the virtual memory, you will see a file named pagefile.sys in the drive where you set the virtual memory. If you set the size of virtual memory 2 GB, then the size of pagefile.sys will be 2 GB. That means your hard disk space will be compensated. So, never set this unnecessarily high. Caution: You can choose no paging file from the step 8. But deleting or disabling the paging file is not recommended! Anytime you might loose your blogger account. After hacking your blogger account along with your blog the hacker can do anything. He can either delete, export or use your blog in his own name! Maybe you have spent thousand hours to establish the site. And you lose everything. Isn't it very terrible? So why don't you back up your site before it's too late? Blogger has an option to back up the whole blog with comments! So, if you have the backup copy of your site, anytime you can open a new blog and restore your previous blog with comments. Even you can restore your backup copy of blogger blog in WordPress Site. WordPress is capable of restoring blogger sites from the .xml file. Couple of months ago, I discussed about how to restore & backup blogger template. You can read that post to know about how to back up the template of your site. Go to Settings from Design or Dashboard. Hit on the Other options from Settings tab. Look at the Blog Tools: Import Blog - Export Blog - Delete Blog. Hit on the Export Blog. Save the .xml file in your hard disk. If you wanna restore your blog from a previously saved copy then follow the above steps again. Just in the Blog Tools- Choose Import Blog. Then choose and upload the .xml file that you've already in your hard disk. Take the help of image below. First you've to click on the Export Blog button. And then you will get another window. It contains the Download Blog button. Hit on the Download blog and immediately you will get a save option. Now just save it. Remember, there is no fixed download size like. It varies depending on your total number of posts and comments. In my site there is currently more than 250 posts with 1100 comments. My blog size is currently 4 MB. Note: This .xml file will back up your site fully, I mean blog posts, comments and related images. Pictures will be saved as links with the xml file. Without restoring it, you can't view those images. But your site's template will not be saved with this .xml file. You have to back it up in another way. Go to the Template option from the Settings. Hit on Backup/ Restore button from the top right corner. Hit on Download Full Template button to download the template. Or Choose File to select and upload your desired template. Screenshots of the tasks are not given in this post. If you wanna see the related images then go to the above links. Isn't it very strange to write about such an easy topic in this site? Maybe. But I'm gonna share a personal experience with you. After that you answer whether this post is unnecessary or not. Few days ago I joined as an Internee at Uttara Bank Ltd. My first assignment in the bank was to print a file that officials failed to open. The Branch Manager knew about my computer skills. He asked me to troubleshoot the problem. By the way, all of you (except new users) might be familiar with zip or rar files. There are many free as well as premium applications to compress the files or unpack the zipped files. But today I'm gonna discuss about 7-Zip. It is mostly used to zip and unzip the files and folders. Supported Unpacking Formats: ARJ, CAB, CHM, CPIO, CramFS, DEB, DMG, FAT, HFS, ISO, LZH, LZMA, MBR, MSI, NSIS, NTFS, RAR, RPM, SquashFS, UDF, VHD, WIM, XAR and Z. Finally the installation size is really smart. Less than 3 MB! First you've to download 7-Zip from the above link. The download size is approximately 1 MB. Then install this on your PC. Installation process is very simple. There is no confusing option. After installing it on your PC, 7-Zip icon may appear on your Desktop or Program list. And when you right click on any file or folder you will see the options of 7-Zip. Make a right click on that file/folder. Choose 7-Zip > Open Archive. Now you can see the files stored on that folder. Hit on Extract button to unzip those files. Make sure the necessary files or folders are kept in the same folder. Now select the files and Click right. Choose 7-Zip > Add to Archives. Choose the Archive Format > Compression Level and other options as your need. The portable version is same as installed version except one thing. You will not get the shortcuts in mouse right click. All you need to do is just open the application from your PC where you've stored it. The application should be named as: 7-ZipPortable.exe. When you need to run this program, simply click twice on it. Immediately after clicking on it, 7-Zip will run. Now, if you wanna archive something first go to the proper Location > Select the Files or Folder > Hit on Add > Choose the Destination Folder, File Format > Compression Level etc > Hit OK.
And if you wanna extract something then simply select the files and hit on Extract. If you do not choose any specific location for the extracted file then they will be extracted to the current folder. Also have a look at the image below. Important buttons for using 7-Zip are marked there! In my very last post, I talked about word verification in blogger blog. Reducing spam comment was also discussed there. Today you're getting a full tutorial on optimizing comment option in blogger. What you should do and shouldn't do in Comments setting will be discussed today. Enjoy . . . Comment Location: By default the location is embedded. You shouldn't change this to Full page, Pop up or Hide. Visitors like embedded comment box. This will appear just below your post. Who can Comment? : There are four options: Anyone, Registered User, User with Google Accounts, Only members of this blog. Choose the second option. I mean Registered User. Default setting is Anyone. But it allows anonymous users to comment on your site. To be honest, anonymous comment has no value. Anyone can comment by hiding his/ her ID. Even you can comment on your site anonymously. And it is not possible to track who is the person actually. Comment Moderation: You can choose either Never or Sometimes. But choosing moderation always may not be good. In that case someone may comment again and again and thought something is wrong with your site as his/her comment doesn't appear. I suggest you to choose Never. If you find any spam comment then you can manually delete them. Besides blogger has an automatic spam filter. So, don't worry. Show Word Verification: Default setting is Yes. But I recommend you to use No. If you're interested to know more about Word Verification then read this. 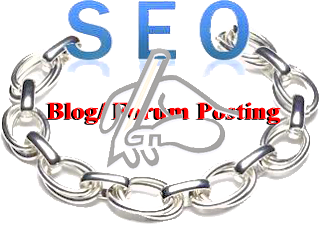 Show Backlinks: This is not very important. You can choose either Hide or Show. If you choose Show then a link will be shown under the comment box- Create a Link to this Post. Then if someone click on this link he or she will get a link of the current post. Comment Form Message: This is up to you. Not very important. If you wanna give any message for the commentator you can write it here. It will be shown just below the comment box. For example you can write any advice or rules regarding comment. You can say HTML link is allowed. Or you can say spam comment is strictly prohibited etc. Most of the cases commentator would like to create backlinks on your site. Allow them. Keep it mind that they comment on your site costing their valuable time. When the comment is too much irrelevant or only for the purpose of creating links then never remove it immediately. The first thing you can do is to request the commentator to make the comment relevant. If he/she doesn't change then you can remove his/ her comment. Always check your spam box. You will find it under the Comment just below the Pages option in the left pane. If any normal comment is detected as spam then choose not spam for this comment. Sometimes you might notice few spam comments are not detected by spam checker. In that case you can mark these comments as spam. One final thing you should know- Showing strictness with the commentators is a very bad thing. If you misbehave with the commentators you will lose engaged users. Always value the visitors and their comments. Because they are actually your customers. Suppose a visitor comes your site only for creating links. Never show hostile behavior with him. There are many sites for creating links. But he picks your site. It's your credit. So why do you show hostility. What is the guarantee that he will not be a loyal user of your site in the future? By default blogger blogs are designed to show word verification when visitors comment in a post. Though this is a very useful tool to avoid spam, but real users often get bored by this option. Besides blogger has an automatic spam checking tool. So you can remove the word verification option from the comment in order to let your visitors express their opinion easily. While commenting on blogger blogs or other websites you may face a word challenge. And this is a very common thing. Specially when you open any online account. Sometimes words used in the verification option are too hard to guess. And users are very annoyed with this. Look at the image above. When you comment on blogger blogs or someone comments on your blog he/she will face a challenge like this. Normally this option doesn't show any hard challenge. But sometimes they are also difficult to guess. Users have to try this again and again. If they are annoyed they will loose interest to express their opinion. Since blogger has its own spam detection technique, you can remove it from your blog. Instead of showing captcha you can allow only registered users to comment on your site. That means you can disallow the anonymous visitors to write comments. Go to the Settings from the left pane. Move to the Comments option. Find Show Word Verification. Select No. From now users will not face any verification while commenting on your site. But there is a problem too. If you remove or disable captcha from comment option then you may notice too many spam comments. Even after blogger checks the spam. Here you can use another technique. Then move to the Post and Comments option. Who can comment? Select- Registered User. Now hit on Save Settings. Search description is shown just below the post in the web search result. It gives a brief idea about the topic you're looking for. Certainly a better search description helps you get more traffic from the search result. And it also helps you to get a better ranking! Look at the image above. 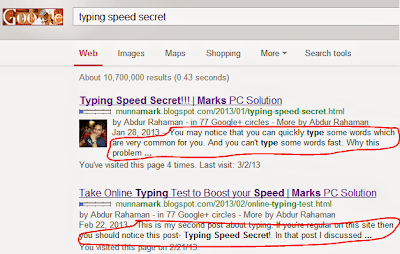 Someone is searching for- typing speed secret. Now look at the first two results showing here. In the first post the description is somewhat related. In the second post the search description is only the first few sentences of the post. That means search description is not included with the second post. And certainly it fails to attract visitors to enter your blog! In the search description you can either use an important part of your post or you can create few lines for it which is actually not written in the post body. Whatever you do, make sure your search description is related to the post and quite attractive. Enable Blog Description (Only for your home page). Search Description for Posts (Individual Blog Posts). Settings > Search Preferences > Meta Tags > Descriptions > Edit > Select Yes > Type a proper description for your blog > Save Changes. Now search description is active for your site. When you write a new post you will see a Search Description option in the Post Settings. And when you search your blog in Google or Bing you will see a description of your blog. For example: Search Marks PC or Marks PC Solution on Google. It should appear at the top or within first 5 results. 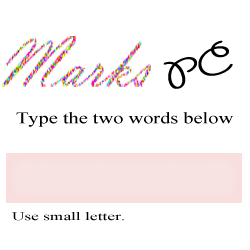 Then you will see its description- Marks PC Solution is an ideal place for IT persons with Computer tips, Secret tips, Internet tips, Troubleshooting, Blogging, SEO & Gaming Solutions! Well this is actually not an one time task. You have to do this with each and every posts of your site. Before doing this work make sure you enabled search description from the step one. Create a New Post from where you usually do > Look at the Post Settings option at the right > Hit on the Search Description > Type a search description for your post or simply copy-paste few important lines from your post > Done. Now complete your posts and publish this. Search it on Google by post title. If it appears in the result then you will be able to see a description of the post beneath the post title. You will get this post at the top with this description- Search description is shown just below the post in the web search result. It gives a brief idea about the topic you're looking for. Certainly a . . . The better your description the better your rank and the more visitor you will get. So you should enable this feature. And you should write an attractive description of your site and post which is related to your site contents.